Montana’s Part C Infant and Toddler Early Intervention Program of the Individuals with Disabilities Education Act (IDEA) focuses upon infants and toddlers, aged birth to 3, with disabilities and their families. Biography: Dr. Anisa Goforth is an Assistant Professor and Director of School Psychology Graduate Training Programs in the Department of Psychology at the University of Montana. She is a licensed psychologist in the state of Montana and Nationally Certified School Psychologist. Her research expertise is related to developing school psychologists’ level of practice and culture competence, the intersection of culture and practice, and ways that evidence-based practices can be implemented to best meet the needs of children and families. She has clinical expertise in assessment and evidence-based interventions for school-age children with autism. Biography: The OPI Montana Autism Education Project provides free autism training and consultation services to public schools serving students identified as having autism. Biography: I teach early childhood classes for UM Western and have lots of knowledge regarding young children, working with parents and regarding Head Start. I am not interested in conducting trainings but am interested in expanding resources in the area of autism for Head Start staff and parents. Note: I am not the one with expertise regarding autism, but many within Head Start programs do or they are continually looking for that expertise to share with staff and parents. Professional Area: Our multidisciplinary team is experienced at assessing children for a full range of behavioral and developmental disorders. This includes learning difficulties, speech and language concerns, autism spectrum disorder, delays in physical development and other issues that can interfere with how the child interprets and responds to the world. We provide formal diagnosis and recommendations for behavioral interventions as well as medical and education planning. Biography: Our multidisciplinary team includes a Developmental and Behavioral Pediatrician, a Pediatric Psychologist, Licensed Clinical Social Worker, dietitian, and licensed speech, occupational and physical therapists. Each child is seen by this team of pediatric experts to evaluate for developmental delays, autism or other behavior disorders. Age group: Primarily we see children 2-12 but may see children outside of this range on a case by case basis. Note: We are located in Missoula, Montana, but are able to see any child referred that is willing to travel for this evaluation. To make a referral for this diagnostic clinic send clinic notes, and any other testing or relevant information to the Pediatric Specialty Clinic. Fax: 406.327.5199. 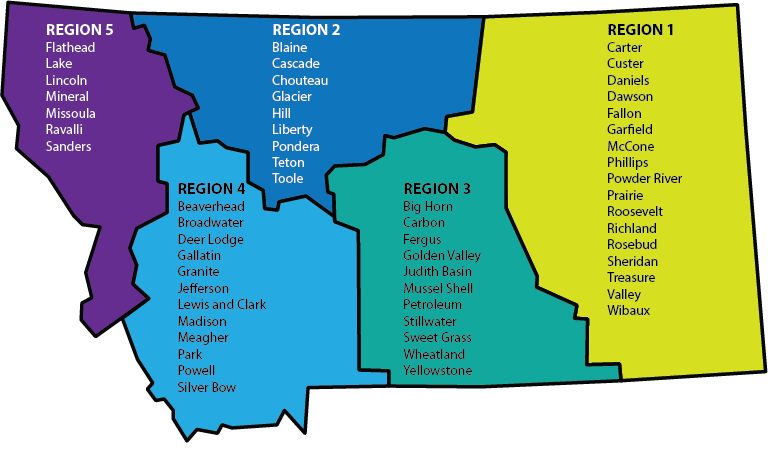 For more information or to discuss potential referrals, contact Polly Becker, LCSW at 406.327.3874. Biography: The DeWit RiteCare is a training facility for future speech-language pathologists and collaborates with other disciplines on the UM campus and in the community. All students receive clinical supervision from highly qualified clinical faculty. Services offered include individualized therapy, peer mediated intervention, social skill groups, and summer intensive programs. Professional Area: Assessment, behavior therapy, social skills, educational and IEP consulting, advocacy, family and individual therapy, applied behavioral analysis, behavioral programming and intervention, parent and provider education, parenting classes. Biography: We have 15 years of experience serving children and families in Montana. We work extensively with other providers and local schools to meet the individual needs of the family and client. Services provided in the home, school, office or community setting. Specific and personalized intervention programs designed and implemented including the parent in the process. Inclusion of the parents increases the effectiveness of the program for their child, especially since they spend the most time with their child. Professional Areas: Trained and Certified in the Developmental Individualized Relationship based Floortime method called the PLAY Project. Biography: For the past 7 years I have had the pleasure of and continue to provide education, support, and intensive intervention to families affected by autism in Billings, MT and the surrounding areas. I have been extensively trained and certified in providing the PLAY Project intervention to young children diagnosed with autism ages 14mo-6yrs of age. I have also had the opportunity to provide services to older populations ranging from elementary age to adulthood. In this capacity I have provided intervention and support utilizing the Social Thinking Curriculum by Michelle Garcia Winner through social skills groups and individualized instruction. Biography: Whether you just have concerns, or your loves one has received a diagnosis such as Autism Spectrum Disorder, STEP can be a guide on the journey ahead. Our services are designed to maximize opportunities for progress in a challenging world. Please call us to visit about how we can help. Biography: Mrs. Heiser’s specialty involves working with families with behavior, communication, emotional and developmental disabilities. She was privately trained by five of the top nationally recognized researchers in the field of autism and is recognized as a Board Certified Behavior Analyst. She currently consults with school districts and early childhood intervention programs in the NW region of the country. Mrs. Heiser has presented for many professional agencies with some nationally recognized presenters; Temple Grandin and Kim Peek (Rain Man). In 2002, Shaw was asked to return to MSU where she teaches junior and senior level psychology courses. Notes: Shawna’s motto in servicing families is “every child deserves an opportunity for independence”. We operate a full service ABA clinic, with an on site BCBA and RBT’s. We are accredited with most major insurance carriers. Peach Tree Clinic was started as a place for parents and kids with Autism, we wanted to create an environment where children with ASD could learn and grow safely through childhood. Therapies are done with our team assisting in the interactions of family, community, and peers. We understand what it’s like to care for and raise a child with ASD. Kristi’s own experiences as a parent of a 12 year old boy with ASD led her to start Peach Tree clinic. The ability to work with compassion and personal experience came from my own time as a mother of a child with ASD. Seeing kids and families progress with ABA have strengthened her commitment to this idea. We have the opportunity to provide this place for these amazing and unique children, and we hope you would give us the opportunity to work with you and your family. I truly believe you will love the results. At Pediatric Therapy Clinic, our Applied Behavior Analysis (ABA) program is designed to provide a comprehensive, integrated therapy plan to meet the unique needs of each child. Depending on your child’s need, our ABA program can be tailored to help your child increase communication, social skills, functional living skills, independent play skills, community participation, as well as academics. ABA can also address interfering or maladaptive behaviors through evidence-based programming while increasing positive, socially significant behaviors. Our highly trained staff look forward to working with you and your family to develop a plan that is right for you! Pediatric Therapy Clinic also conducts an autism parent support group and family training on the second Wednesday of every month at 6pm. Please call or email for more information of if you would like to be added to the support group email list! Biography: Supporting individuals with autism spectrum disorders and other developmental disabilities has been my professional privilege and passion for twenty-five years. As the treatment supervisor for a non-profit organization in NW Montana, I pioneered the implementation of evidence-based treatment for young children with autism spectrum disorders in a rural, sparsely populated state. I’ve successfully designed, implemented, and supervised, home, center, community, and school based interventions for children and young adults with developmental disabilities. My 25 years of experience includes parent education, developing functional communication systems including the Picture Exchange Communication System (PECS), treating challenging behavior using positive behavior supports and functional behavior assessment, structuring environments for child success, and facilitating social thinking groups. I’ve worked with parents, teachers, school psychologists, speech therapists, early interventionists, and other providers of developmental disability services to improve outcomes for children and young adults with unique learning needs. I pride myself on my ability to create effective, individualized plans for children of all ages along with heartfelt and meaningful connections with each of their families.